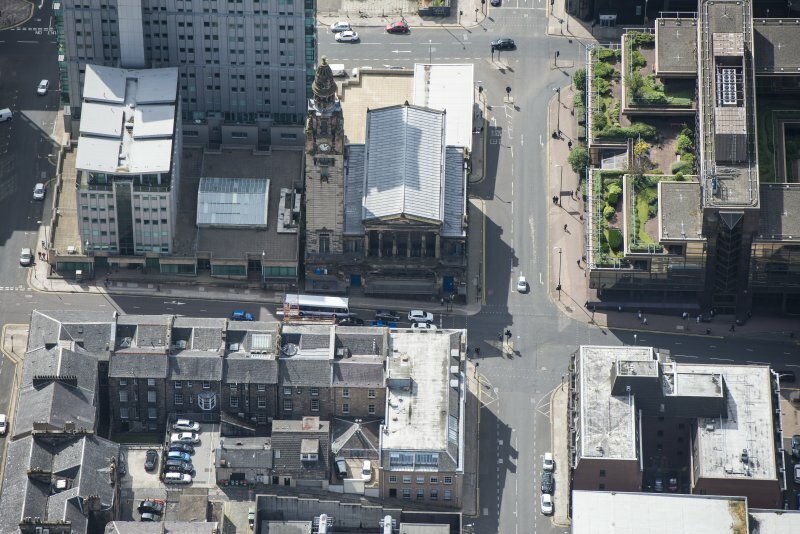 Oblique aerial view of St Vincent Street United Presbyterian Church, looking NNE. 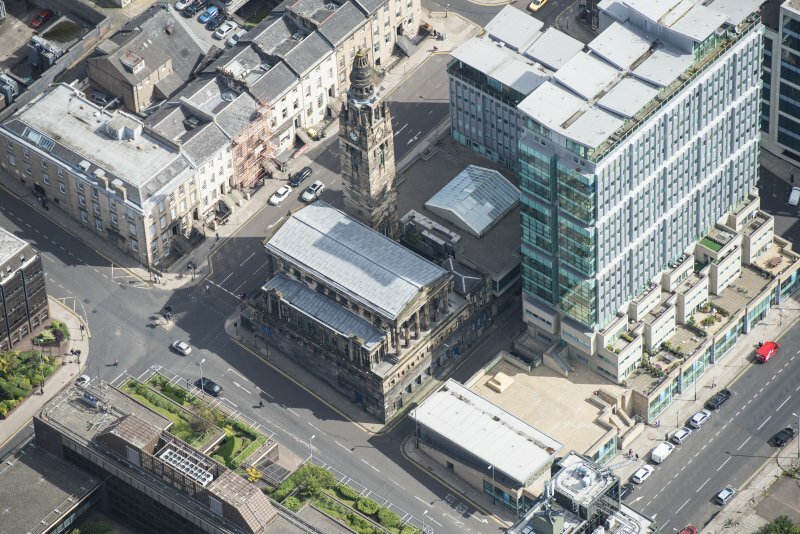 Oblique aerial view of St Vincent Street United Presbyterian Church and St Columba's Gaelic Parish Church, looking WNW. 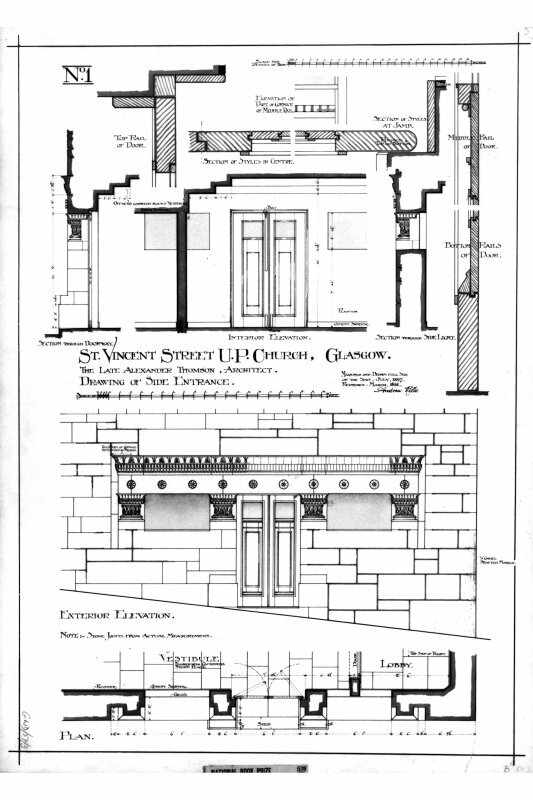 Scanned image of page from 'The Builder' showing elevations, sections and details. Titled: 'The Builder, May 15, 1897 U.P. 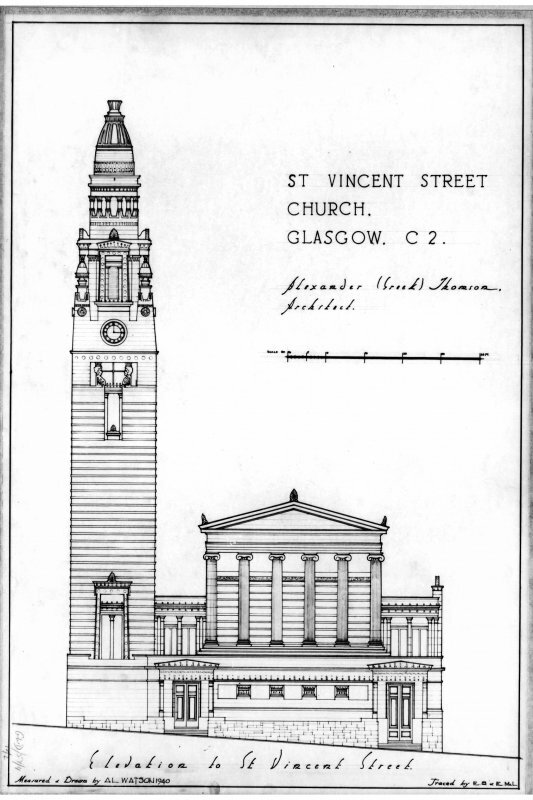 Church St. Vincent St. Glasgow Measured and drawn by Mr G. A. Paterson (Alexander Thomson Travelling Studentship)'. 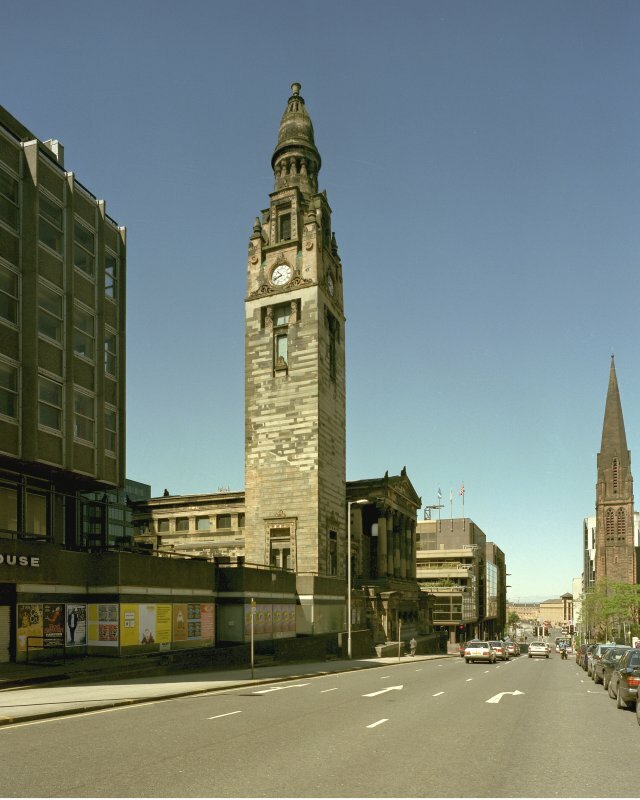 St Vincent Street United Presbyterian Church View of tower. Digital image of A/59847. 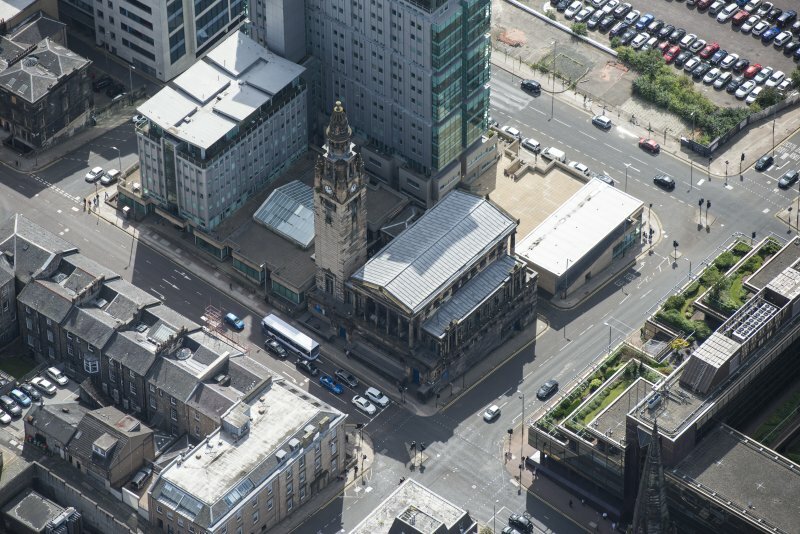 Oblique aerial view of St Vincent Street United Presbyterian Church, looking ESE. Oblique aerial view of St Vincent Street United Presbyterian Church, looking S.
Oblique aerial view of St Vincent Street United Presbyterian Church, looking WNW. 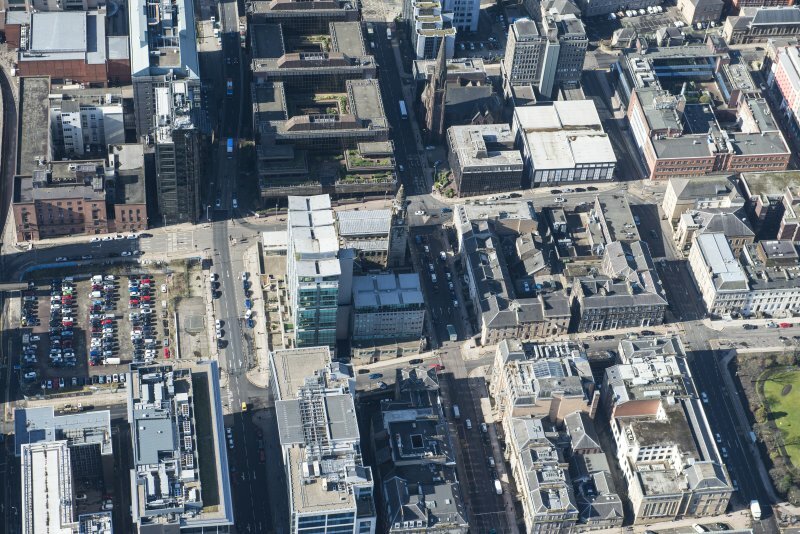 View from Pitt Street looking North. 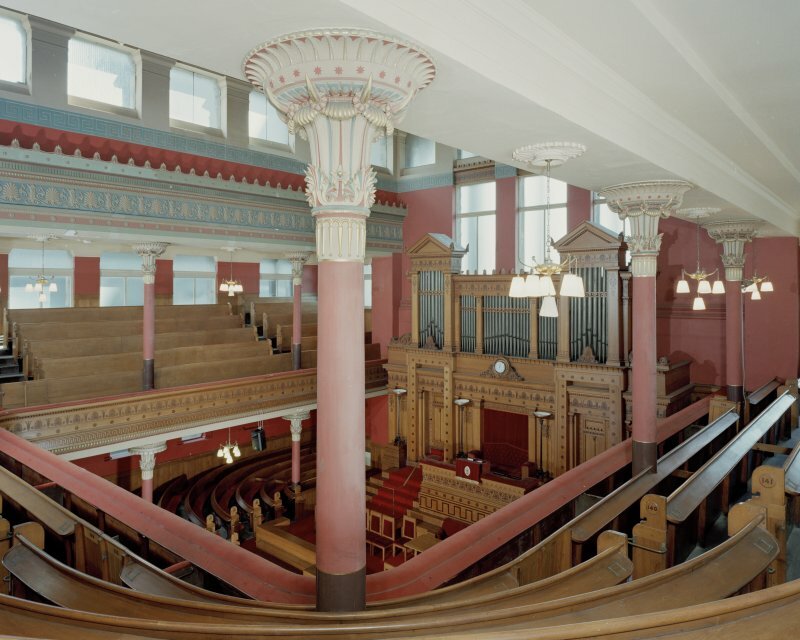 Interior view of St Vincent Street United Presbyterian Church, Glasgow. 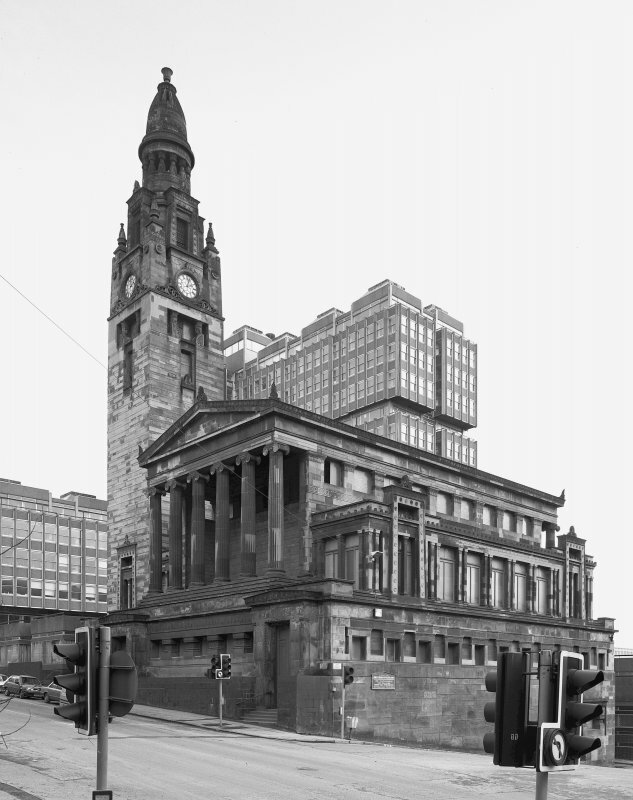 St Vincent Street United Presbyterian Church View from West. Digital image of B/4864. 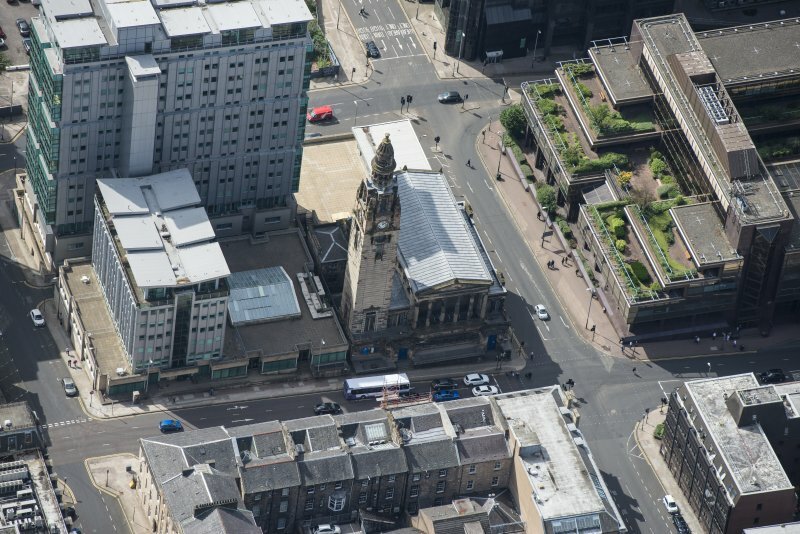 Oblique aerial view of St Vincent Street United Presbyterian Church, looking SE. 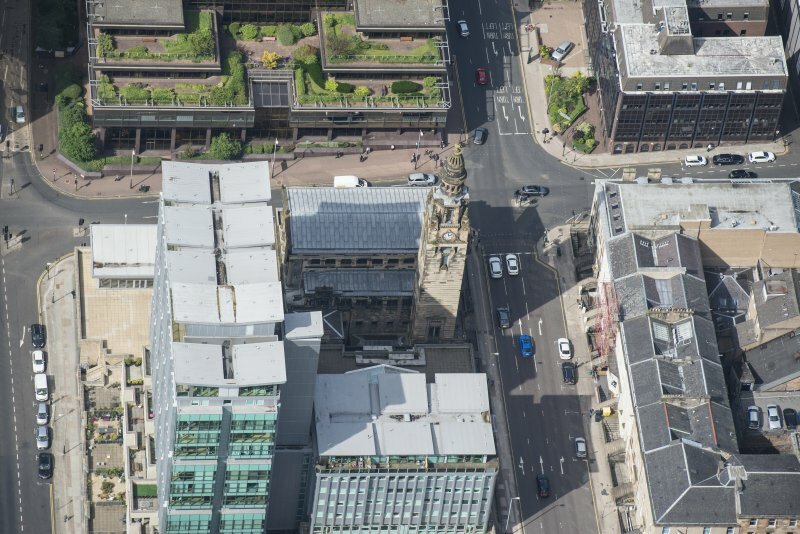 Oblique aerial view of St Vincent Street United Presbyterian Church, looking SSW. Photographic copy of a drawing insc. 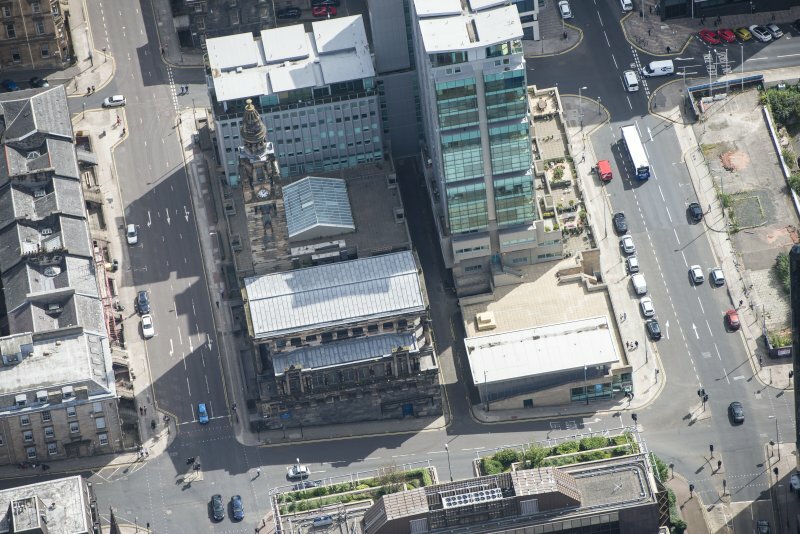 'Saint Vincent Street UP Church, Glasgow. 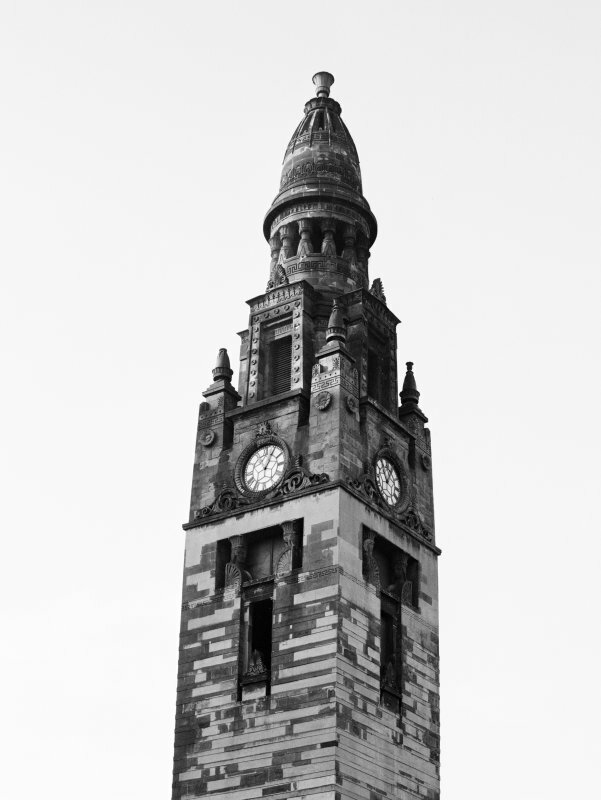 The late Alexander Thomson - Architect. A Rollo 1897.' 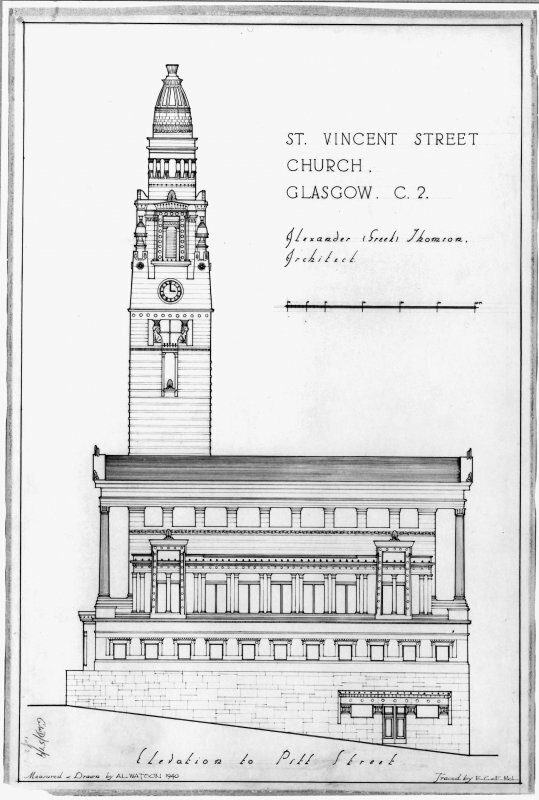 showing a plan and elevation of the Pitt Street entrance. 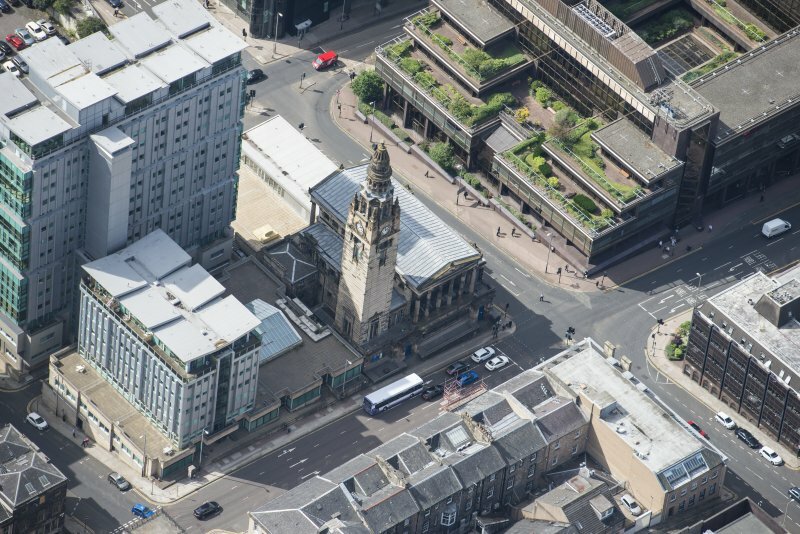 Oblique aerial view of St Vincent Street United Presbyterian Church, looking ENE. 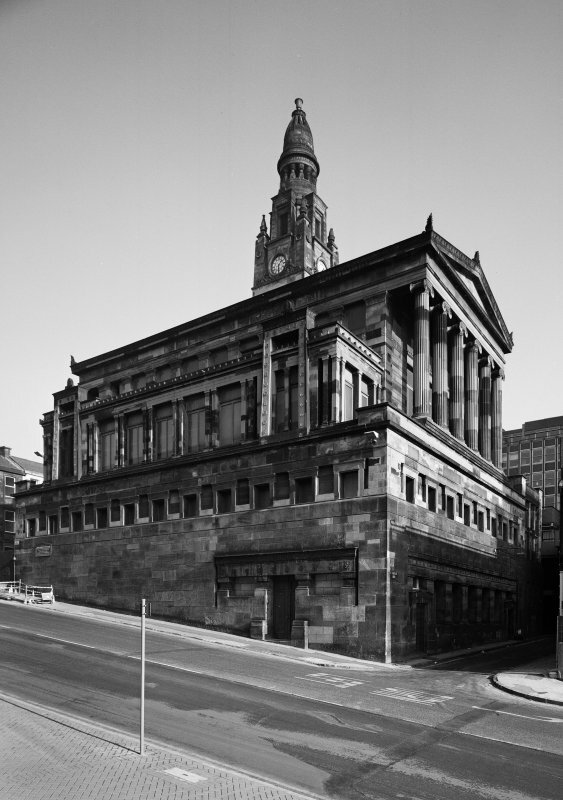 Oblique aerial view of St Vincent Street United Presbyterian Church, looking W.
Photographic copy of a drawing insc. 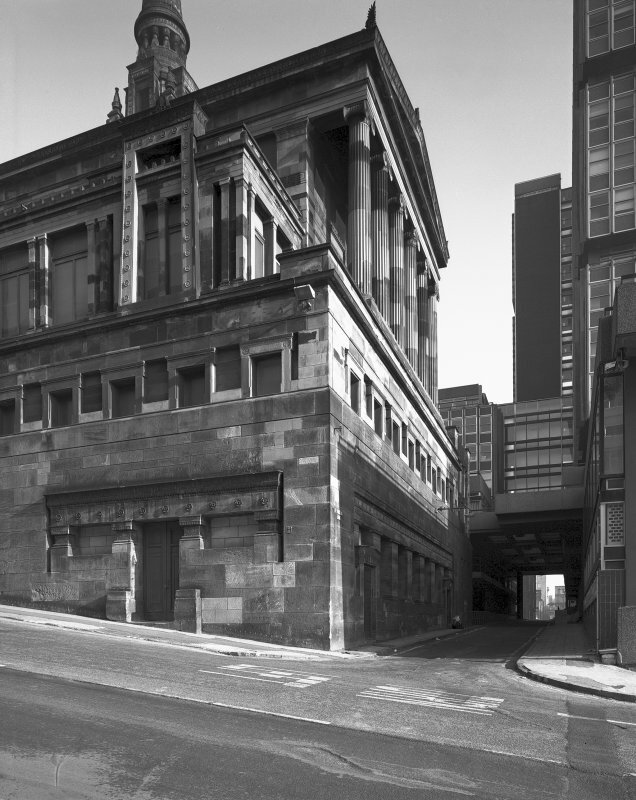 'St Vincent Street UP Church, Glasgow. 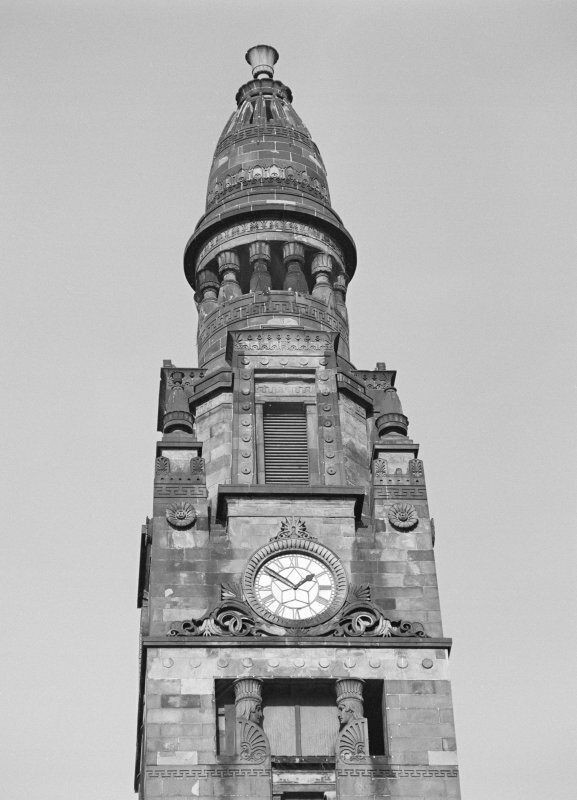 The late Alexander Thomson, Architect. 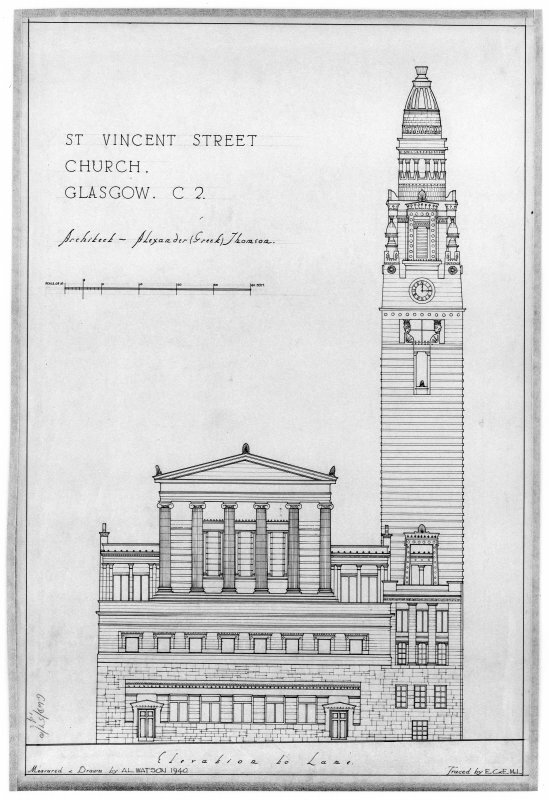 Drawing of side entrance. Detail. 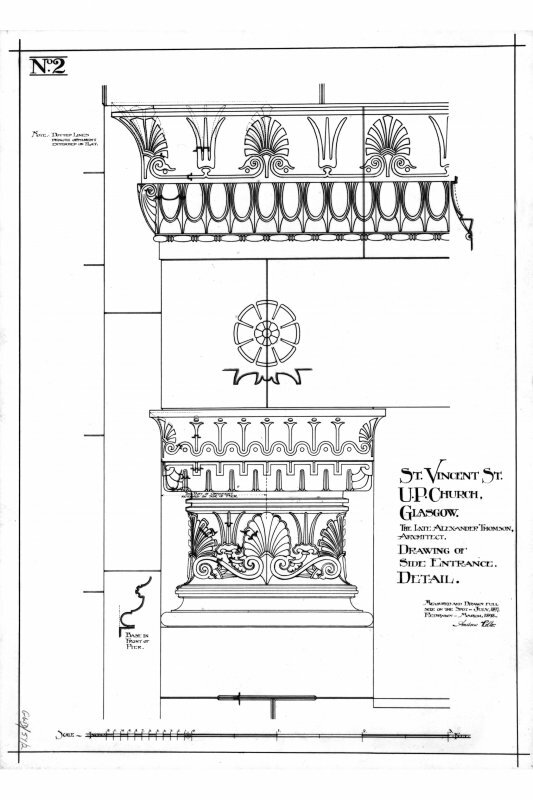 Measured and drawn full size on the spot - July 1897. Redrawn - March 1898. Andrew Rollo.' 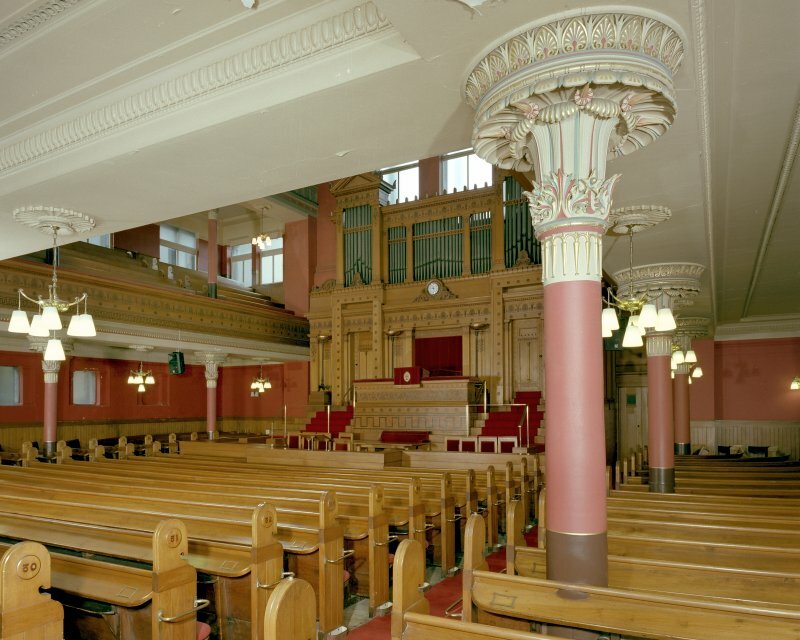 showing the detail of the carved stonework. 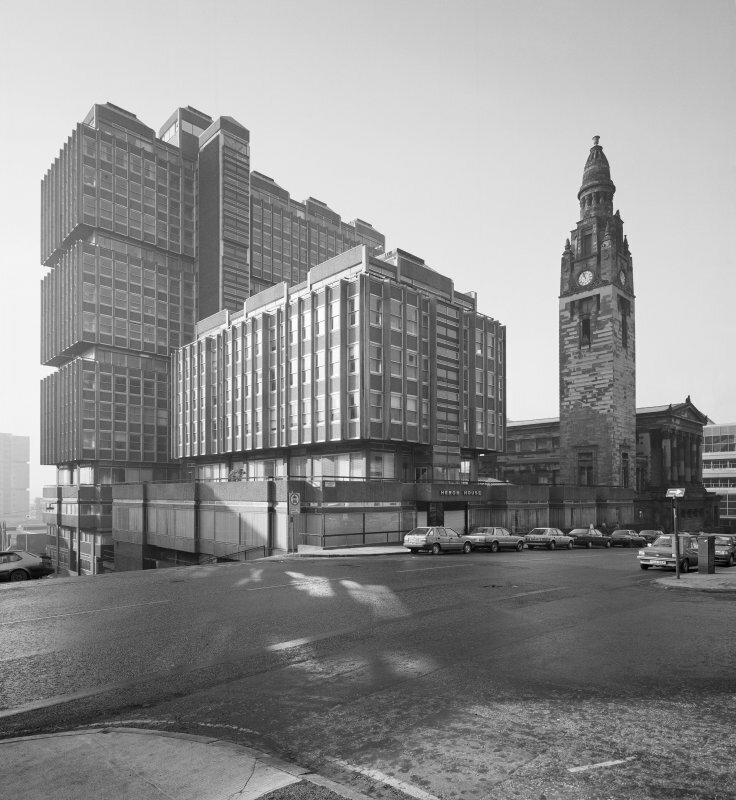 Glasgow, St Vincent Street Church and Heron House, view from NE. 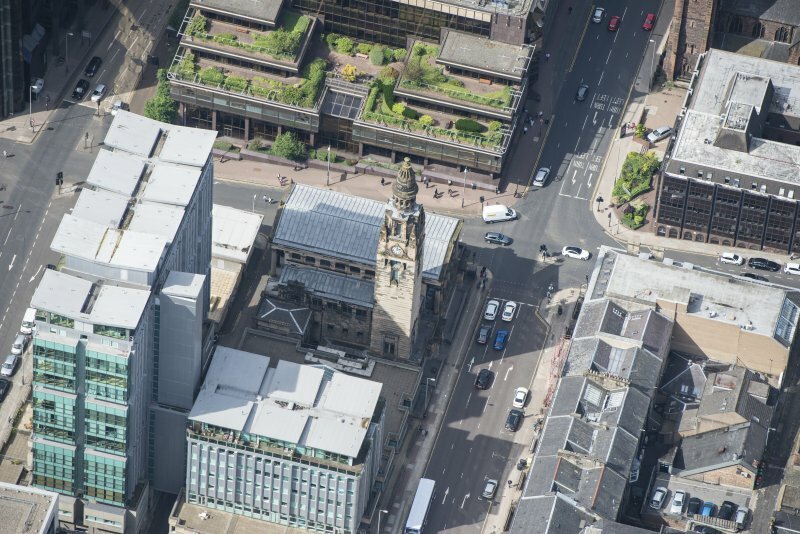 Oblique aerial view of St Vincent Street United Presbyterian Church, looking WSW. 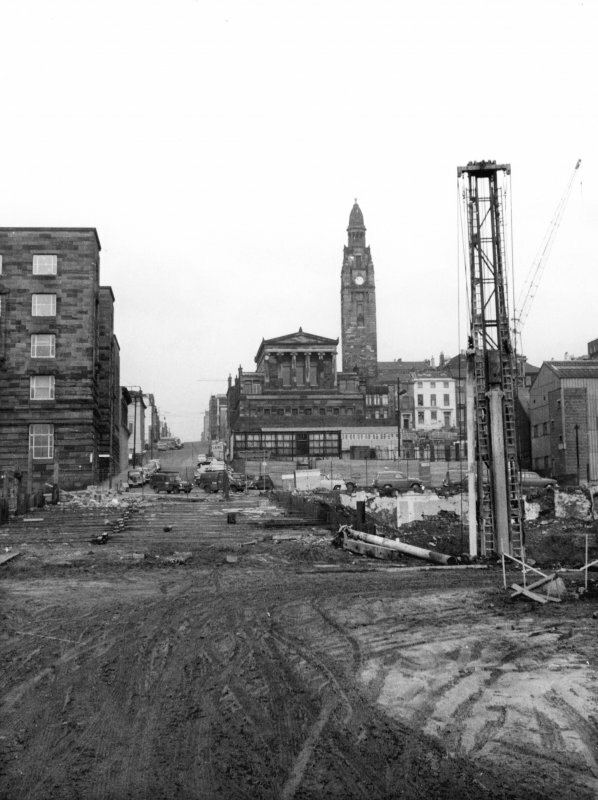 General view of Pitt Street looking North to St Vincent Street Church (before new office block obscured view). Photographic copy of a drawing insc. 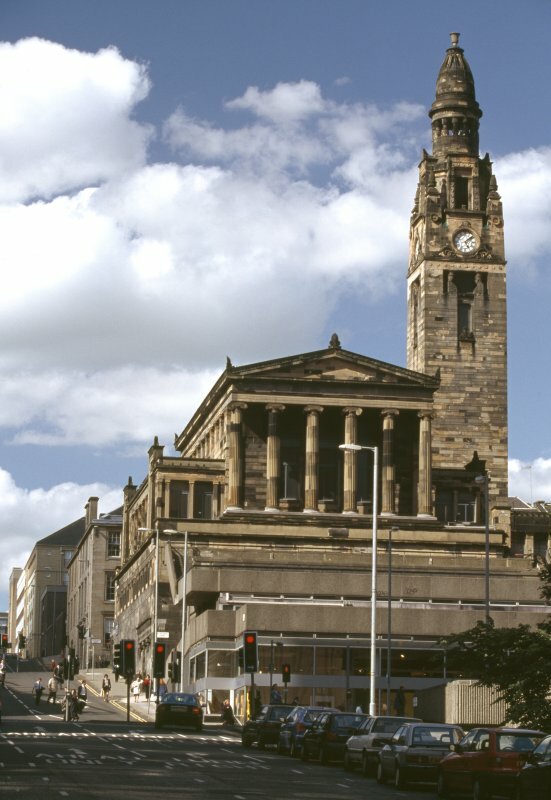 'St Vincent Street UP Church, Glasgow. 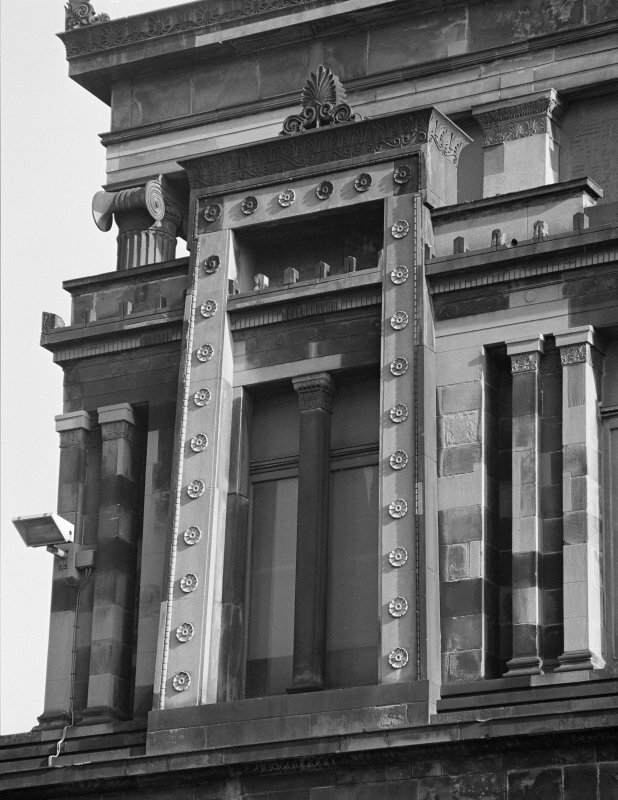 The late Alexander Thomson, Architect. 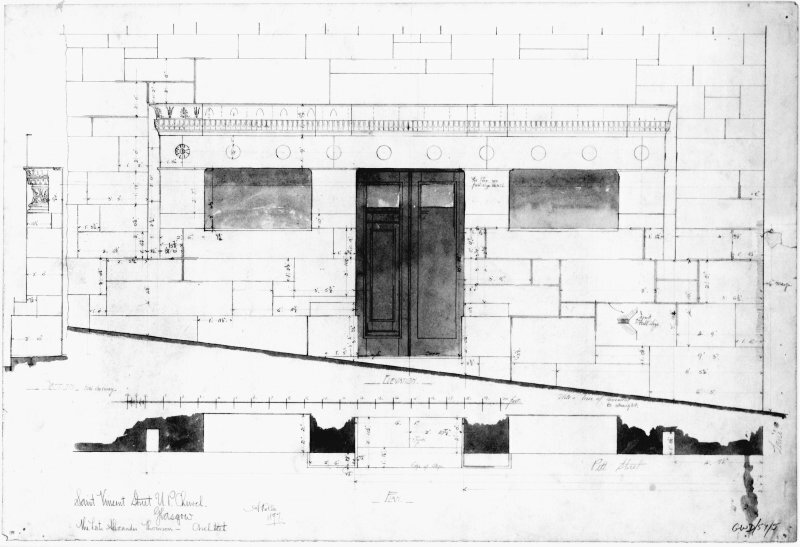 Drawing of Side Entrance. Measured and drawn full size on the spot, July 1897. 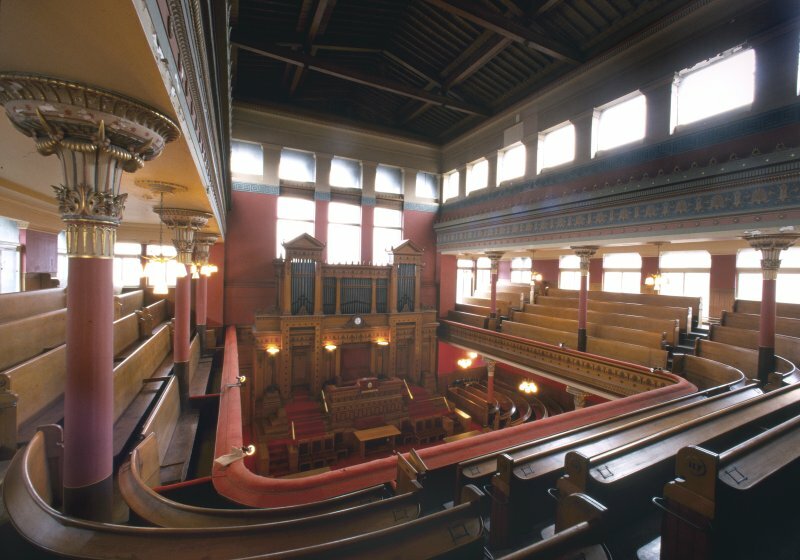 Redrawn March 1898. Andrew Rollo.' 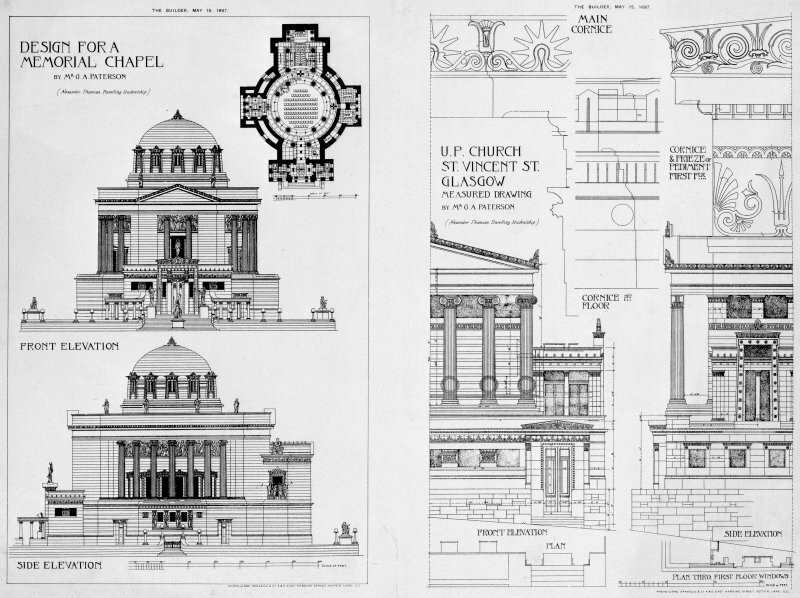 Exterior elevation, plan, sections, interior elevation. Photographic copy of a drawing insc. 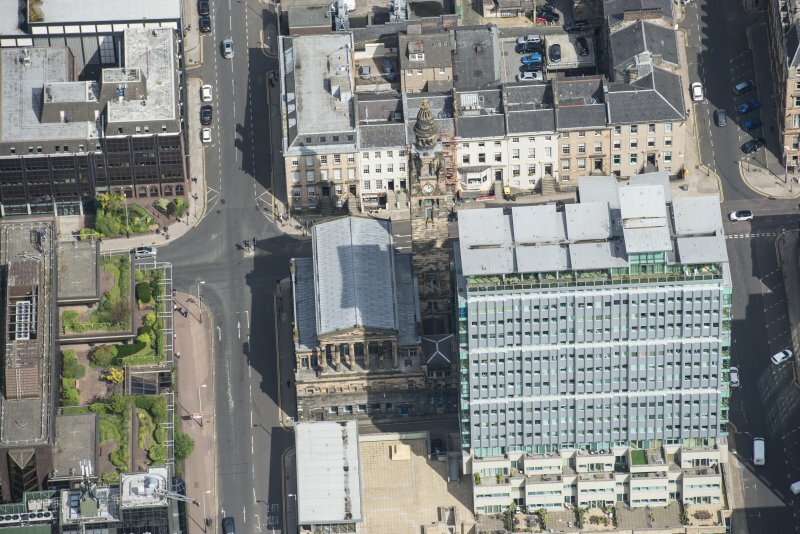 'Saint Vincent Street UP Church, Glasgow. 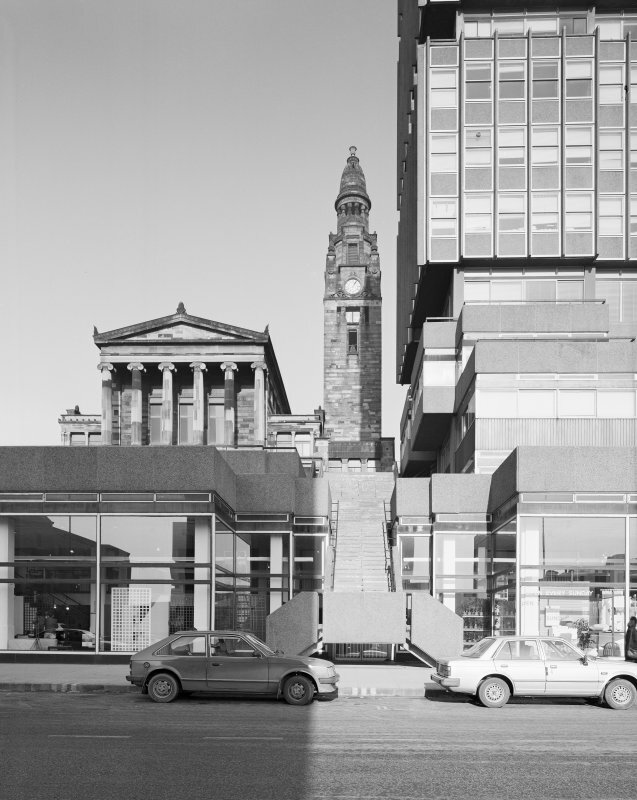 The late Alexander Thomson - Archt. Detail of door in Pitt Street. A Rollo 22nd January 1898.' 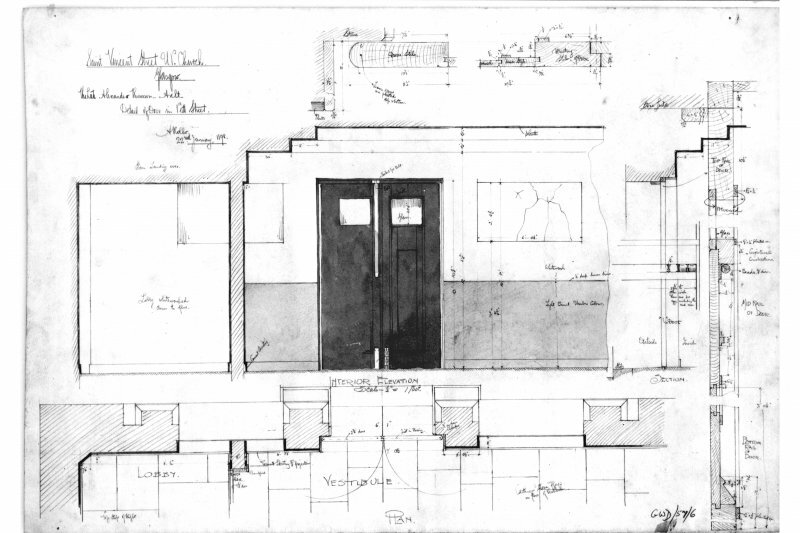 showing an interior elevation, plan and details.